A mechanic you can depend on. 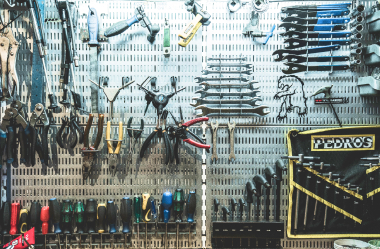 Bike Garage offers a comprehensive bike servicing and repair for all bikes. We are happy to quote on all aspects of repair, major and minor – Please ask! We always offer a free quotation service before any work is carried out. Intermediate service, ideal for post winter. Cantilever and disc brakes. If fitted with cantilever or v -brakes, strip down calliper, re-grease and re-assemble. If equipped with disc brakes remove pads and clean calliper, disc and check pads for wear. Reassemble and respace if required. Full bike check for tightness of bolts. 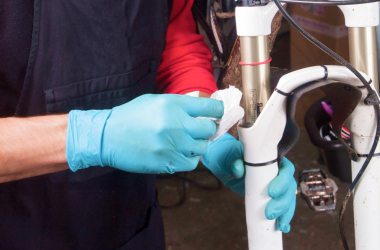 Full service, essential for those that ride often or ride hard. Strip down, clean, lubricate and refit new gear cables. Check tyres for wear and inflate to correct pressure. Strip down wheels hubs, clean and regrease. Remove front/rear mechanicals. Clean lubricate and refit. Remove crank arms, chain and cassette. Clean, check for wear and refit. Cantilever and disc brakes. If fitted with cantilever or v-brakes, strip down calliper, re-grease and reassemble including new brake cable. If equipped with disc brakes remove pads and clean calliper, disc and pads (check pads for wear). Clean and lubricate pistons system, re-bled and re-spacing calliper. * Please note above prices includes oil and labour costs but does not include costs of any other parts required. 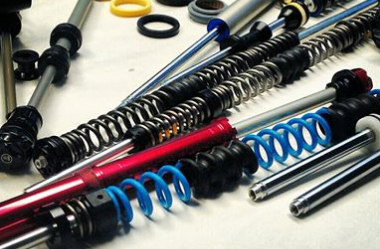 We can also advise upon correct bike setup (suspension, postition of brakes/gears on handlebars) of any type of bike. So if your unsure give us a call and we can run you though it in the shop. Prices for all jobs excludes the cost of parts. All other jobs charged at an hourly rate of £25. We do things a little different to most bike shops, and offer a free quote on any repair. We’re open every day of the week & weekend except Thursday. Once the bike has been brought into the shop we will check it over within 2 working days and get back to you with a price. If you know you need your bike back by an agreed date we will do everything we can to make sure this happens. In most cases we can accommodate emergency repairs and small jobs simple give us a call and we will do our very best to help. All work is carried out by a Cytech qualified mechanic, using Park Tools. What this means is that the right tools will be used for the job, by someone who is qualified to use them. Once we have completed the repair, we will contact you to arrange collection. If you’re unhappy with anything, just get in touch and we’ll help to resolve it as quickly as we can. The latest updates and technical tips. "Fabulous service. Nothing is to much trouble. 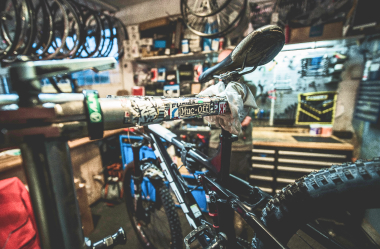 Much more than a just a bike shop." "Excellent service. James always does a great job." "Absolutely top notch service and a great bloke behind the counter. Can’t ask for anything more. The work he’s done for me on multiple occasions has been outstanding and completed quickly and efficiently." "Fantastic bike shop. 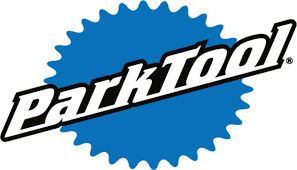 The Bike Garage have a genuine passion for biking - an in depth knowledge of bikes and fantastic recommendations of the Peak district trails. They performed what can only be described as open heart surgery on my bike (or something close to that! ha!) - and were incredibly accommodating - meaning that I was able to get back out on my bike in super quick time."